NCE is part of the Alluvium Group and looks to offer a specialised combination of natural resources science and economics in the consulting space. NCE’s aim is to help clients understand and resolve the most complex and pressing challenges related to climate change, water resources and our natural environment. 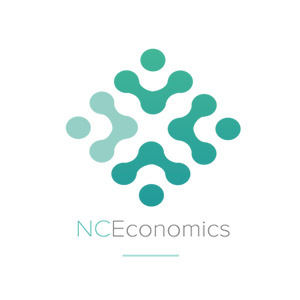 NCE seeks to bring together the best economic practitioners in industry and academia, along with people who can effectively interpret the economic outputs into management decisions. We believe there are few who offer truly integrated, specialist skills in this area in the consulting market. Working with the QLD Government we evaluated the cost effectiveness of investment options for delivering specific regional water quality targets. Using physical modelling to estimate reductions in pollution loads attributable to policy solution sets and economic analysis based on marginal and total abatement cost curves we were able to determine a least cost pathway to achieving the regional targets. A cost range was established for actions within each policy solution set and the total costs of achieving regional targets. The use of Gold Coast waterways by residents and tourists creates economic activity, which in turn stimulates the economy, creates employment, and triggers ongoing investment. Working with the Gold Coast Waterway Authority we determined the approximate proportion of the $9.5 billion tourism industry attributable to the use of waterways. Through the capitalisation of the stream of annual values of ecosystem services, it was possible to calculate a natural capital value for the waterway assets to assist in management and investment decisions. This project undertook economic analysis of water supply options for Micronesia and tested the potential impact of climate change on the choice of water supply options. Using two real-world case studies water demand and supply models were developed and a number of scenarios were then run based on climate change scenarios to test the impacts on current levels of service. A number of water supply augmentations were then identified and assessed (levels of service, lifecycle costs) against specific levels of service under current and potential future climate change scenarios. The Federated States Of Micronesia Government is now using the findings of this project in long-term water supply planning and investment. The UK Foreign Office assisted Indonesia to analyse the current context and prepare proposals for submission to COP 15 in Copenhagen. This required assessing land use change, avoided deforestation, spatial planning and evaluation of the budgetary implications of such changes (particularly in the province of Papua). This project involved extensive field work with local community in Papua, documenting and assessing land use change, followed by analysis with National officials in Jakarta to assess potential policy responses, their likely effectiveness and their costs of implementation.